I honestly didn’t know how this review would go until the last day of reading this book. We’ll start with what I knew early on – the cover of this book is stunning and would immediately draw me in at a bookstore. That said, is it possible to really like the characters, but not care much for the story? I’ve read numerous books by Dean Koontz, although none in the recent past, and always enjoyed them, but this isn’t the Dean Koontz I remember. The writing was top shelf and the character development beyond reproach. Since this was a rather slow-moving novel, the relationship between Jonah and Mr. Yoshioka, both touching and entertaining, was the primary reason I kept reading. Some of the conversations between Jonah and his friend, Malcolm, were also humorous, although not typically what you’d hear from 10 to 12-year-olds. Somewhere around the 75% mark, I thought the story picked up a little and was anxious to see what happened at the end. 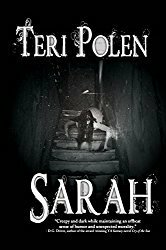 For me, supernatural elements are usually enough to keep me interested in a book and although The City had a little of that, they were few and far between and not very compelling. 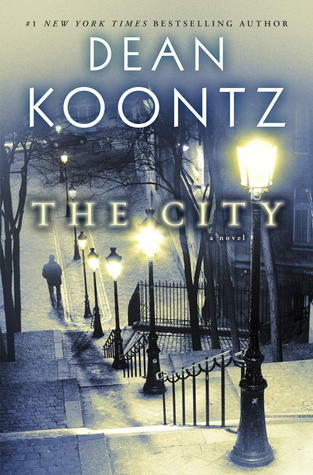 I have no doubt that some readers would enjoy The City; however, they probably wouldn’t be the typical Dean Koontz fan. Despite the beautiful cover, this isn’t a book I would have picked up without his name on it. A review I read suggested Dean Koontz writing under a pseudonym likely would have gotten better reviews for this book and after thinking about it, I agree. Great review 🙂 I do love Dean Koontz’s books. Thanks! I’ve enjoyed all his books, but this one was definitely different. 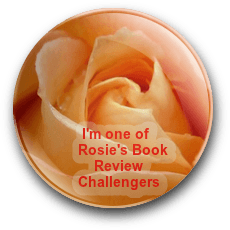 I’ve been a Dean Koontz fan for a long time so this review certainly intrigues me… Did you read the Odd series?? How does this one compare? I think I’ve read at least 3 in the Odd series – I’m behind – and I liked it more than this book. The City is closer to contemporary/literary fiction with a very light touch of supernatural. Hmmmm… Good to know! Koontz is an extraordinary writer but the supernatural bits are always my favorite parts! I agree – that’s why I think fans who have read his books for years will be thrown by this one. Interesting. It doesn’t sound at all like any Koontz book I’ve ever read. It is intriguing. Great review, Teri!